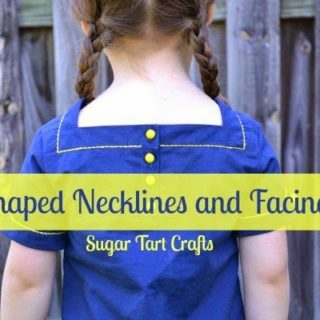 The day that I stumbled onto this idea was definitely a major “DUH” moment in my sewing life. I mean, I made it through 2 years of sewing independent study in high school, and then 4 years of majoring in fashion design at college without ever realizing that you could cut out a pattern without the use of pins! Why don’t they teach you this stuff in school? 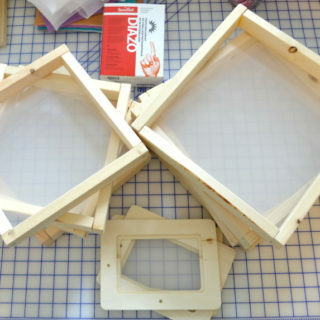 Did I miss that class on freezer paper stencils and pattern weights? But to me it was just what I wanted! I admit that Ant looked at me like I was on crack when I asked for the “heaviest washers and nuts that you can find at the hardware store”, and he told me that he received equally odd looks from his co-workers when they saw him wrapping them up for me. Maybe now that they are pretty people won’t think they’re so weird. I didn’t take pictures of how I made them, but I figure you are all smart enough to figure that out without the photographic evidence. For the washers, I hot glued 2 or 3 together to make them a bit heavier, but you have to work quickly because the metal tends to cool the glue down super fast. Also, if you are wrapping them like I did, it is easiest to use ribbons that are 3/8 inch or smaller in width. 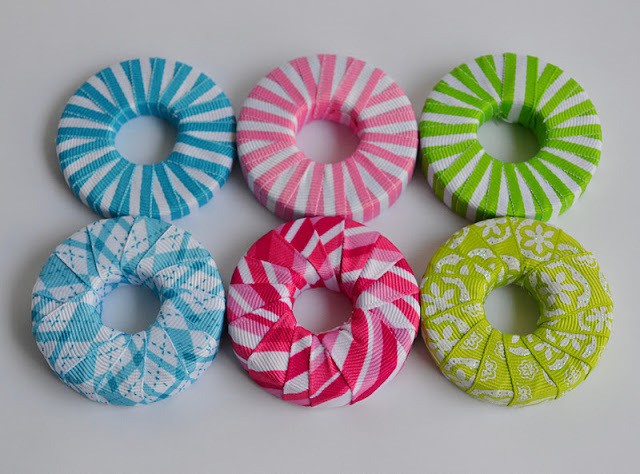 You could also wrap them with yarn, strips of scrap fabric, or just spray paint them. Since cutting out the fabric is my least favorite part of a sewing project, I might finally stop avoiding it and get something done for a change. Plus maybe now I won’t have to worry so much about Reli getting into the “prickles” as often as she does. 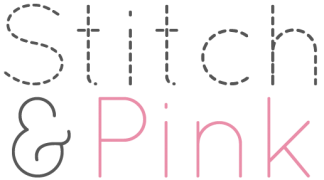 Are there any other life altering sewing tools out there that I’ve been missing out on? These are so cute. I use cans of soup or tomatoes, but may have to head across the street to the hardware store to pick up some washers. Yay, finally a project that I don't have to drive an hour & half to get the supplies. Genius! Seriously a great idea. And cute, too! Oooh, good idea. I have a set of four that my sister bought me, but usually I need a lot more than that! I'll put this on my to-do list! Brilliant. Going to make these today! 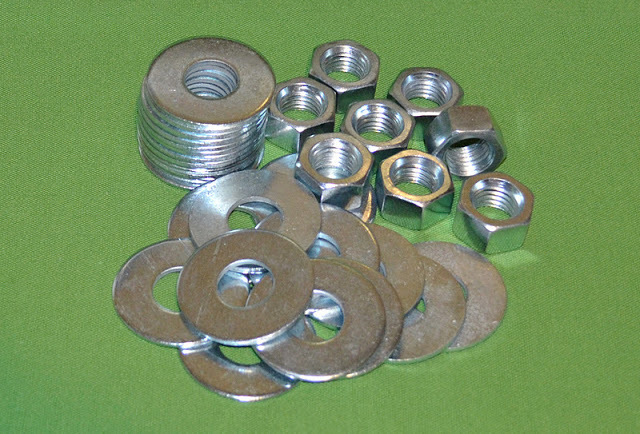 You can sometimes find heavy washers, nuts, etc at a garage or estate sale. Especially if you find one at a farm. Debi from Kansas – you didn't leave your e-mail, so I hope you just happen to see this. My husband got them from home depot. Just the standard 3/4 inch washers. I know they don't feel very heavy, but that is why I hot glued them into a stack of 2 or 3 before wrapping them in ribbon. How clever! I don't sew much but these are definitely pretty! These are soooo cute! I've always been afraid to try pattern weights instead of pins, but I'm all for it if I get to use something pretty like this! These are so pretty! And I love that they are so functional, too! Wow. That makes life so much simpler! Thanks for sharing it with us. They look so cute when they are all wrapped in ribbons! I totally need these! Going on my to-do pin board! You should join me for "handmade 52"
Such a smart cookie! I have pattern weights but they aren't anywhere near as pretty as yours. I'd love for you to stop by and share this great project at Etcetorize. (http://etcetorize.blogspot.com) Party is open now! I love this idea so much ! I need to do this 🙂 Pinning it ! These are just adorable!!! Besides being functional they are just so darn cute! Found you on Sumo's Sweet Stuff, hope you have a great week! These are so pretty! They almost look like little candies. 🙂 I hate pinning, so I really need to give this project a try. I found you on "The Girl Creative!" I have some small bean bags the I use that I made for this purpose. It is a great first project for new sewers too. 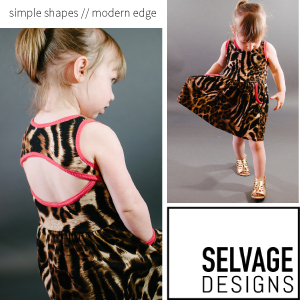 Make the bean bags first then can teach how to cut out patterns. 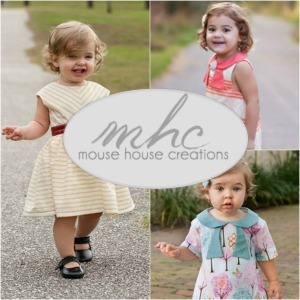 Thanks for linking to Take-A-Look Tuesday – you were featured today! TWICE! love these! I was going to make some out of pea gravel but these are waaaay cuter! Love it! Ha!! I can sit and do these next time we take a trip somewhere… for myself and as gifts for my sewing friends!! Love yours and can't wait to make some for myself. 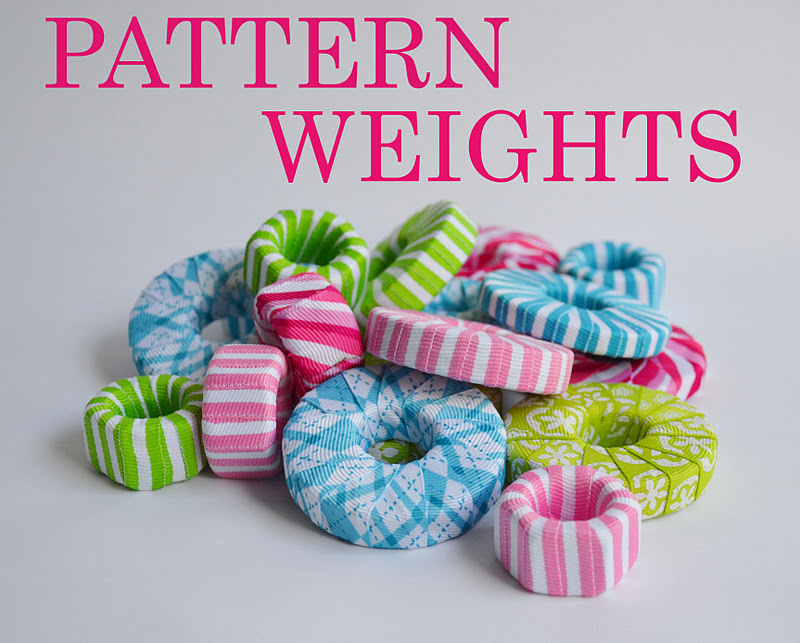 Always thought I'd be a pinner till I finally tried weights on some fabric I didn't want to pin… and stacked washers and big nuts are genius!!! Thanks so much for sharing the ribbon idea!! Wow! This has been a much bigger response than I was expecting for such a simple project. I just wanted to thank you all for visiting and taking the time out to comment just in case I don't get to respond to everyone via e-mail. Thanks So Much! Love it! I posted a link to this on my blog…thru my pinterest board. 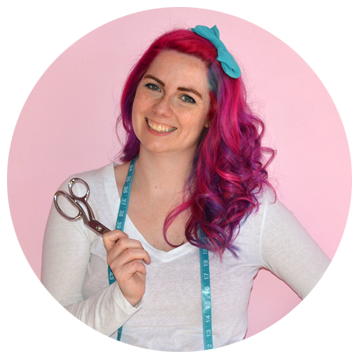 To reply to your question about life-altering sewing ideas, you can cut your fabric with your dinnerware knives (! )…that is, head on over to your cutlery drawer and weigh your fabric down with your dinner-table knives! I LOVE these! And I can imagine the looks your husband got! When my daughter was about 8(she's now 27), some one asked her what she had gotten Mommy for Mothers Day. They looked appalled when she told them "A new iron". I had to laugh, then explain my iron was for my quilting/sewing, therefore a much wanted gift! It's great that we have these funny stories, but even better that we have husbands who LISTEN and buy us this fun stuff, even when to others, it doesn't seem so fun! These are so pretty! I've been using the washers for years and LOVE it – so much faster than pinning. However, mine are only covered in felt. I'm going to wrap them this week!!! So much prettier. So pretty and so useful! Thanks for the idea! I always use upside down saucers…but I LOVE this idea!!! So pretty and simple! I featured this today at The Storage Geek with full credit and link back of course! Thanks for sharing. 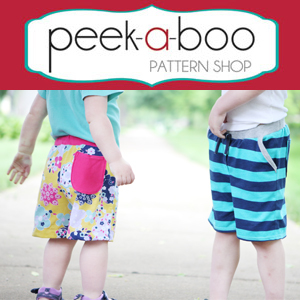 Like you, I hated the time consuming pinning method for cutting patterns. I have made weights using duct tape, but really like your idea of decorating them with ribbon. Happy sewing. That is such a cute idea. 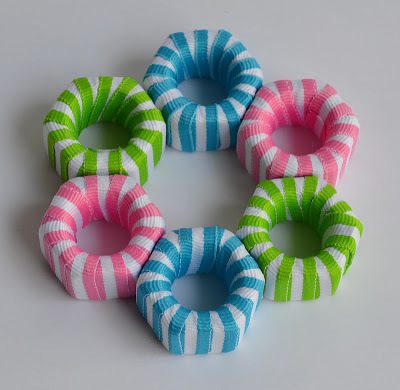 I never would have thought of using wedge lock washers to create something so pretty. They almost look like little candies all wrapped up. The washers are only about 1/8 of an inch tall, but I stacked 2 or 3 together to make them heavier. The nuts are about 3/4 of an inch tall. 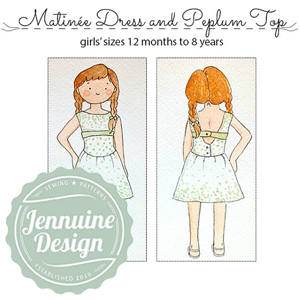 1/8 to 3/4 height or diameter??? how much they weigh, yours assembled ? They aren't very heavy, but they don't really have to be in order to hold down a piece of paper. perfect! I was just thinking of how I could make these. I love them with the ribbon. Functional, cheap, and pretty…my favorites! Cute blog, ma'am. Glad I Pinterested on over here, LOL. I sew, but have no imagination. I would never have come up with such a nifty idea. I too was like, "duh" when I first heard of it over at Casey's place. But YOU, my dear sewist, have taken this phenom to another level of cuteness. Just what I need another project and another product to buy; oh yeah. Thread cyber hugs to you. Toni I am loving your siggie. Did you make it? Where may I get a cute siggie like that, please? Thanks so much Miss Lyric! I'm glad you're enjoying your visit! 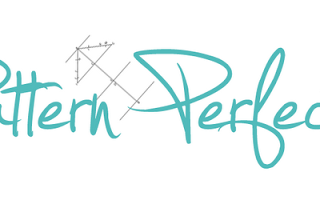 I saw that you already have a cute signature of your own, so you know how to code it, but I added the button in photoshop. You could easily do the same thing in Picmonkey though with the "your overlay" button. Just send me an e-mail if you need some help! Super creative! I'm visiting from "So do you think you are crafty" linky party 😉 Cheers! I have a friend who uses drafting weights to hold her quilts in place when measuring! I think this is an even better idea – not so expensive either!! Thank you! Can't wait to make some! !